Church Stretton Bell Ringers practice on Tuesdays at 7.00pm and ring for services, weddings, funerals etc. In May 2008, a band, representing the Tower won the District Striking Competition at Clungunford. This is the first time we have held this trophy dedicated to the late George Randle, who rang here in St. Laurence. The team went on to represent the District in the Guild Competition at Cleobury Mortimer and came a creditable second to the other Church Stretton District Band. Two quarter peals were rang during the year and a training morning was held for tower members. 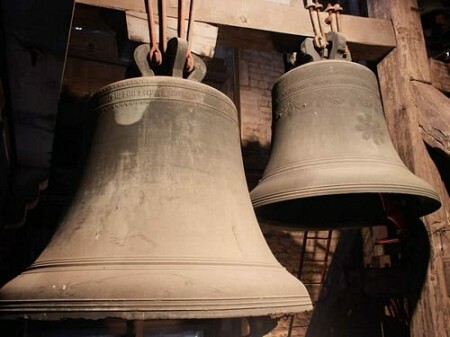 The installation of the bells remains sound but it is necessary to plan for the age of the bells. Their last major overhaul was in 1890. Thanks goes to the small and loyal band without whom the Tower would be silent. If anyone is interested in ringing, the band would welcome new members.